So anyway, when I was nervous about something or excited about doing well, I got the advice, “Act like you’ve been there before.” Got interviewed about a game-winning hit? Act like you’ve done it before. Playing sports in front of a crowd of 4,000? 10,000? Act like you’ve been there before. Have an interview for your dream job? Act like you already have it and it happens every day. I know that the intent behind this advice is to not get worked up over little things or different situations, and to stay classy. 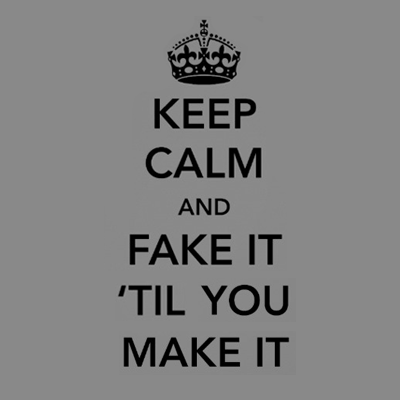 However, it pretty much becomes the same thing as “Fake it ’til you make it” (misunderstood advice itself) if you don’t understand this. I think we tell people this to try to increase their level of comfort with a situation. However, I think most people don’t really understand what this advice is trying to say. I believe the intent behind this saying is, “Keep yourself contained — have class.” But you really don’t draw that conclusion when you’re twelve years old. To a kid, it means, “If you act like you’ve been here before, people will probably believe the act.” In an effort to reduce disquiet, we tell young adults that not being themselves is likely the best possible option. Be someone who has “done this” instead. What happens if you take this advice (or at least take the advice you think you’re getting)? You feel like a fraud. You don’t feel comfortable in your own skin. Impostor syndrome takes over. You start to believe you’re supposed to have all this experience before you’ve ever had it; we perpetuate this idea that you’re supposed to know everything. Here’s a news flash: You probably haven’t been there already. And that’s okay. You probably don’t know everything, nor should you. I followed this advice, and it was super awkward. I hadn’t been there before. I shouldn’t have acted like I had. All people probably got from me was this sense that I was trying to act super suave and I had no idea what I was talking about. And these people were right. Because I didn’t understand the intent of this advice, and I think the people that gave it to me probably didn’t either. Work hard. Don’t gloat. 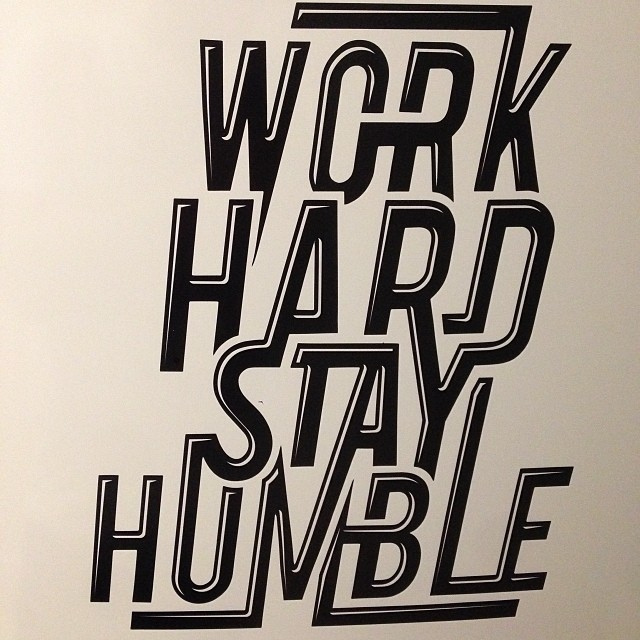 Be proud, but stay humble. You may learn something or have done something well, but this should also enlighten you that there’s a lot more you don’t know, or that a lot of other people are really good at this too. Be aware of the fact that you’re not a unique snowflake and that others can do what you’ve done, but appreciate your own accomplishments. The sum of your actions and choices are what make you special, not a bit of arbitrary knowledge or one triumph. When I pretended I knew things I didn’t, or that I wasn’t scared to death to be in some situations, it made interactions really uncomfortable (to put it mildly). If you knew me in high school, you knew I was really awkward in situations like this (and still am in some cases). A lot of foot-in-mouth moments ensue. Acting like you know or have done something you haven’t solely makes you uncomfortable with yourself. What happens here? You don’t feel easy being yourself because you feel like you should be someone else. You never gain that satisfaction and peace of mind from being centered and comfortable in your own skin. Instead of being myself, I wanted to be someone different; someone who knew stuff. Someone who’d been there before without ever actually having been there. It took time to undo this idea and to realize that I had to acknowledge I didn’t know something before I could then go out and learn. Being reflective and open to learning is admirable; acknowledging what you don’t know is admirable, too. Pretending to know something is arrogant and, well, pretentious. And at some point, you will find that you’ll be eating your size 9 Reeboks. Instead of faking it, I learned to simply be honest. I learned to say, “I don’t know this,” or “Can you tell me how this works please?” It’s hard to admit you don’t know something or that you haven’t done it before. For some reason, people feel embarrassed about this for absolutely no logical reason. Nobody that “knows something” was born with that knowledge. They learned it at some point, just as you will at your own pace and in your own time. Instead of teaching our kids or loved ones that they should act like they know something, and thereby giving them the impression that they should already know it, let’s turn that idea on its head. Let’s ensure that people know it’s okay to not know — everyone who “knows” didn’t once, either. Let’s acknowledge that we’re probably not experts about everything, but that we’re excited to learn more. Let’s be open about both our triumphs (but still humble of course wink ) and faults and stay true to ourselves in the process. That’s really great advice Beka! And it’s easy to tell the people who are faking it. There is just something about them that seems disingenuous. Hey Daniel! Agreed – I think most people that dispense this advice don’t understand it fully themselves, or a lot of people take it the wrong way. Instead of understanding it means they should stay classy, people take it as advice that they should already know how to act, which is a bit crazy. I fully agree with the idea of staying humble and being proud of accomplishments without being conceited, but I think there are better ways of dispensing that advice.